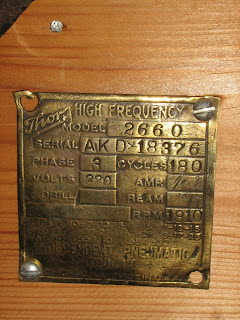 This tag came of an old electric hammer that was made by the THOR motorcycle manufacturer who allso made tools. OK, I dont have a Thor but at least this tag came from the factory. 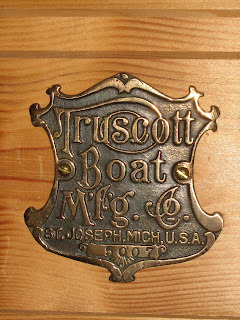 Acording to Stephen Wrights book on American Motorcycles up to 1914 the Curtis motorcycles where made in the same buildings as the Truscott boat engines in the early 1900`s.